What is One for All and why the need for the campaign? Previous campaigns, such as 10% in 2012, have been relatively successful, most likely down to the fact that, for many, it was an achievable target. This time, the focus is not on whole-Company membership, but instead on individual sections. Stats indicate that if each of the Brigade’s sections welcomed just one new member, our overall membership would increase by over 10%. Traditionally, it falls on one or two Company leaders to lead the recruitment efforts, but by challenging sections, we can hopefully empower more leaders and others to take the initiative. The campaign, and more widely, the growth of the BB, is much more than recruitment materials. 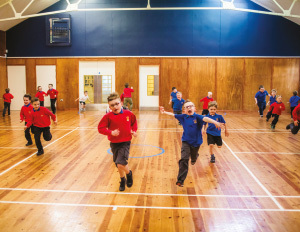 It is about examining how best to go about increasing membership of our sections – recognising that there isn’t one perfect method and that a single flyer, school assembly, or tweet, can work in isolation. Sharing what has worked well recently (and what hasn’t) is also vital in supporting sections to recruit successfully. Considering why members leave is also just as important as advertising for new ones. We always need to be looking at our programme to ensure it remains exciting and relevant to our young people. Whilst new flyers and templates have been produced, support also comes in the form of webinars, blogs, toolkits and other guidance. Hearing the ideas from BB leaders who have managed to turn around the prospects of a particular section can also offer great encouragement and inspiration. In addition, One for All is also about how we can really shout about how membership of The Boys’ Brigade enriches the lives of its members AND volunteers. As leaders, we can all think of particular experiences, skills, journeys and achievements which BB encapsulates, but does this always transmit to key people outside of the organisation? For instance, have we taken a moment to ask a local primary school teacher to share how he/she sees the BB benefiting the development of pupils? Or are there parents, carers and family members who could offer testimonies to aid the growth of our sections too? To kick off 2017, a new animated video has been launched to support your own recruitment efforts. 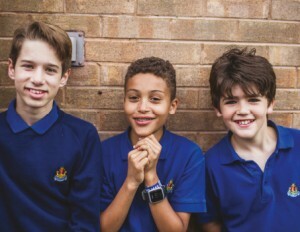 The video aims to target particular groups of people - most notably teachers, parents, carers and young people who have limited or no awareness of The Boys’ Brigade and the range of experiences it offers. The production is not specific to the One for All campaign, meaning that it can be used in this session and beyond. What are the main themes of the new resource? The video captures a snapshot of how much BB enriches the lives of its members and shows what individual young people can achieve and gain from their BB journey. The BB brings people together, engages people of all ages in activities they may never normally experience. 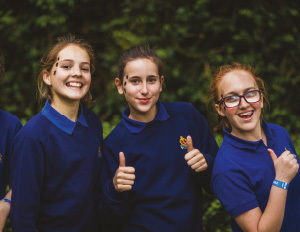 From expeditions to nature trails, camps to canoeing and even overseas visits, the BB gives young people the space to discover, to grow and to learn. The BB helps young people realise their full worth. Whether it is a specific talent, strength, or helping them to excel at being a leader, a team player, or to simply make friends and help others, the BB helps young people achieve. Where is the best place to use this resource? Like similar recruitment resources, you can use the production at a school assembly, parents’ evening or community event. However, the most effective place to share this resource is online via video streaming on the likes of YouTube or Vimeo; your own website; and on social media platforms, such as Facebook, Twitter and Instagram, where you can use the shorter versions. At whatever point in a BB session, it is always great to hear a child or young person is interested in joining. So it is important that you use this video at any time of the year – whenever it can best meet your sections’ needs. Wherever possible, try to ensure that you include additional information alongside the video, including a ‘call-to-action’. This could be meeting times and location, or even a link to website or Facebook page where further details are available. Where can these animations be accessed? Have your own success stories?